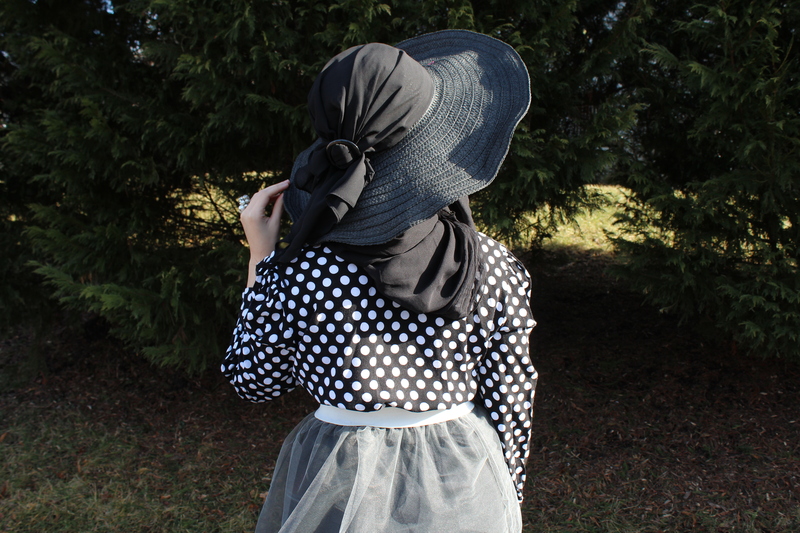 I want to apologize for not posting a F.F.F last week, due to the schedule of Ramadan (post is up on the explanation of Ramadan) I got caught up with other things so I did not have time to upload a post. Many of you were very concerned (anyone would be when it comes to shopping) BUT! I am back on track, and here is a very different look compared to the others I have posted. Light Brown Gladiator Zip-Up Sandals: Burlington. Original price $24.99. Finding these sandals took me a while, literally. Some sandals look very cute, but once you put them on especially gladiators they are not tight enough to stand up or either slip down. These are the perfect pair! Even though there were black ones, this color stood out the most and works with many outfits as well. 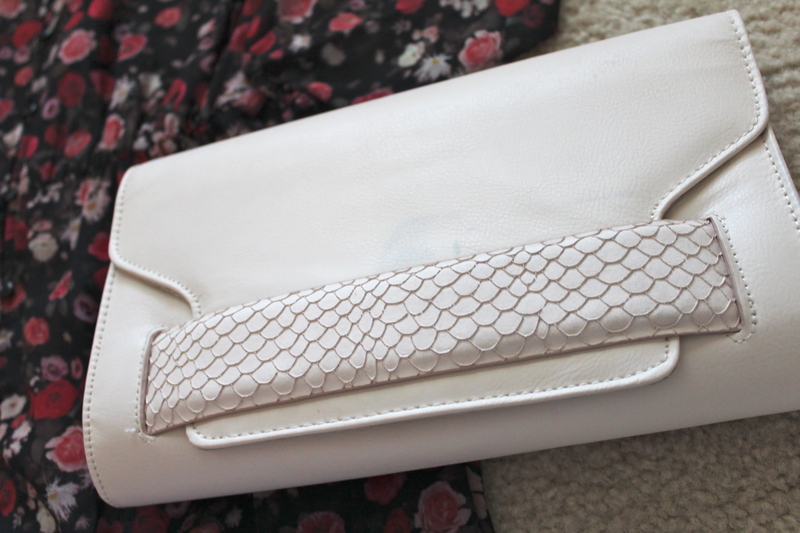 Cream Clutch: H&M. Original price $24.95, on sale for $10. It also has a strap, or you can just hold it like a clutch. 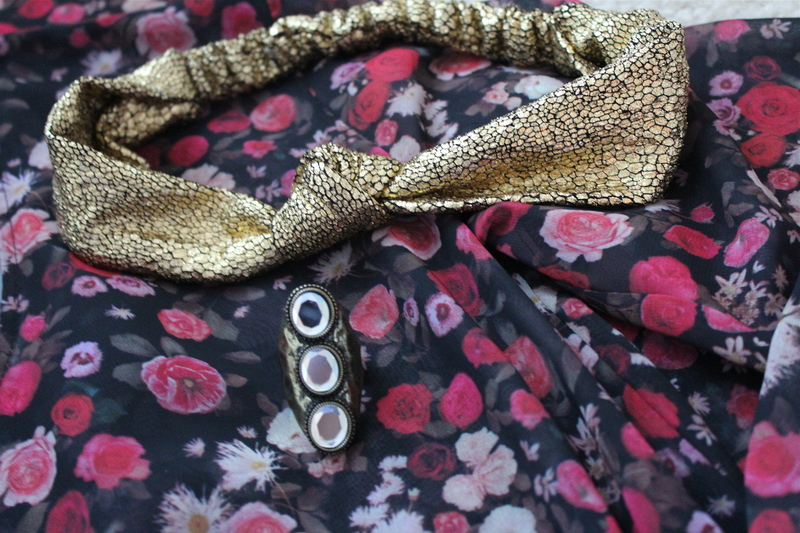 Single Knot Gold Turban Headband: Burlington. Original price $3.99 on sale for $0.98! They have a variety of cute headbands and you honestly just have to get lucky to find a good one! 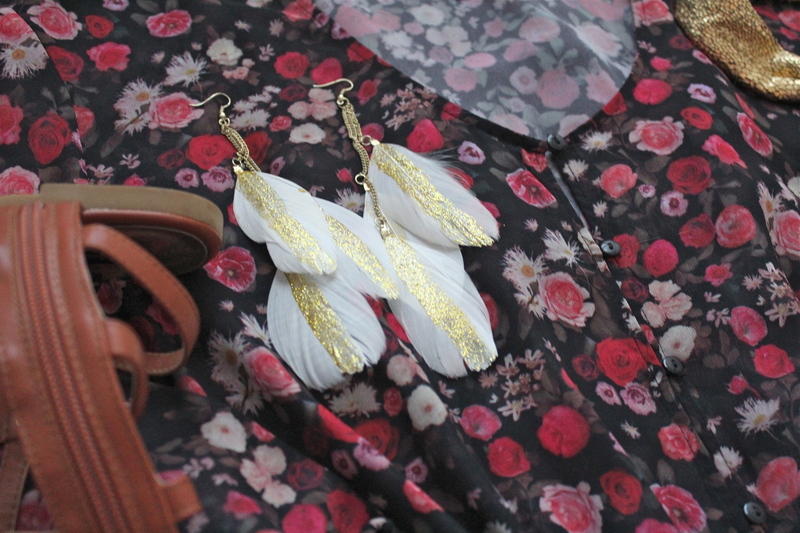 Gold Chained Long-Feathered Earrings: ICING. Original price $6.99, on sale for $1.99. Came in a pack of 3 (small stud earrings and these ones). Ok, so I know many of you are like “What? ICING?” It was closing in a mall here, and EVERYTHING was on sale. I just walked in to see, I needed those plastic ring-adjustment tighteners (I forgot the name fasting right now haha). And ended up getting this, not a bad decision. Rusty Gold Ring: I honestly do not remember where I purchased this, but styled it with this look! These finds are amazing, the main reason why I always post where I purchase them from is so you all can get a similar look and get some inspiration! Do not forget to leave feedback, as I enjoy reading them. Enjoy mi amores, have a wonderful weekend!